Following Penguin 1.0 launching, Google additionally stated that a Panda update was coming out a couple of days prior to Penguin (April 19th). To make things worse, Google came out with their Panda refresh on April 27th. To rapidly recap, Panda came out on April 19th, and Penguin on April 24th, then a Panda refresh on April 27th. That is pretty much an algorithm sandwich special, with one side of insanity. As you might imagine, webmasters who are not familiar with SEO might easily believe they were hit by Penguin. As Panda and Penguin target two separate issues, it is very important to understand the algorithm update which hit your site. Panda will target low quality content, duplicate content, thin content, and so on, whereas Penguin will target web spam. 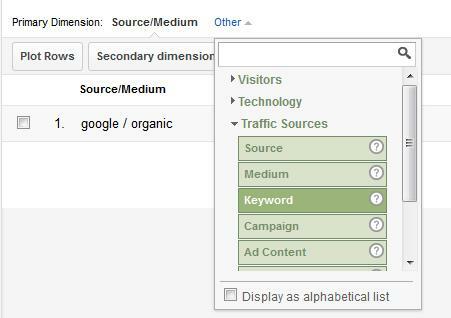 The initial thing to do includes launching Google Analytics and drill inside Google Organic reporting. You can set your timeframe to April 1 – May 15. It’ll provide you a great view of traffic by day within the different algorithm updates. Keep in mind, Panda was on April 19th, Penguin was on April 24th; then a Panda refresh came out on April 27. In these graphs here, you can view that one website was hit by Penguin whereas the other one was hit by Panda (two times). 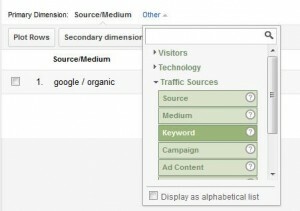 Now that you’re familiar with what algorithm update hit you, it’s possible to begin to decide the keywords which dropped. Penguin came out upon a Tuesday, whereas Panda came out upon a Thursday; then followed with a refresh on a Friday! As most websites witness a natural fall late within the week and upon weekends, it is vital to begin to understand regular visitor trending, and what keywords probably were hit. Firstly, inside Google Organic, set the main dimension to ‘Keyword.’ It’ll exhibit all the keywords leading to your website from Google Organic within the timeframe. Secondly, compare the dates following you being hit by Penguin or Panda with a prior timeframe to compare the traffic by keyword. To perform this, click on the date in the top right edge of the interface then choose a frame of time. If hit by Penguin, choose 4/24 – 5/15. If hit by Panda, choose 4/19 – 5/15. And click on the checkbox for ‘compare to past’. This default comparison is the amount of days instantly before the range you chose. If necessary, you could change this by picking new dates to compare. You’ll be presented now with all the keywords leading traffic to your website, alongside the percentage of decrease and increase. View a keyword fall by 75 percent, it possibly got hit. And you could dimension this keyword by ‘Landing Page’ to view what webpage was hit. Spend time here… the insights gleaned could be valuable to your efforts of recovery.